Two big stories have recently come out and it’s very good news to the fans of The Big Bang Theory! First off, The Big Bang Theory and the Chuck Lorre Family Foundation have established The Big Bang Theory Scholarship Endowment, the first-ever university scholarship at UCLA created by and named for a television series. The scholarship will support undergraduate students in need of financial aid who are pursuing their higher education in the fields of Science, Technology, Engineering and Mathematics (STEM) at UCLA. So if you are looking for ways to be a part of this special scholarship. Here are some details that you need to know! Twenty (20) Big Bang Theory scholars will be selected for the 2015–16 academic year to receive financial assistance, with an additional five scholars to be added in each future academic year — in perpetuity. The Big Bang Theory Scholarships will be awarded based on financial need to low-income students who have earned admission to UCLA based on academic merit but need additional support to bridge the gap between typical levels of financial aid and the cost of attendance. The inaugural group of scholars will be announced in fall 2015 on the set of The Big Bang Theory. Joining the scholars will be the show’s stars, producers, representatives from UCLA and select benefactors. 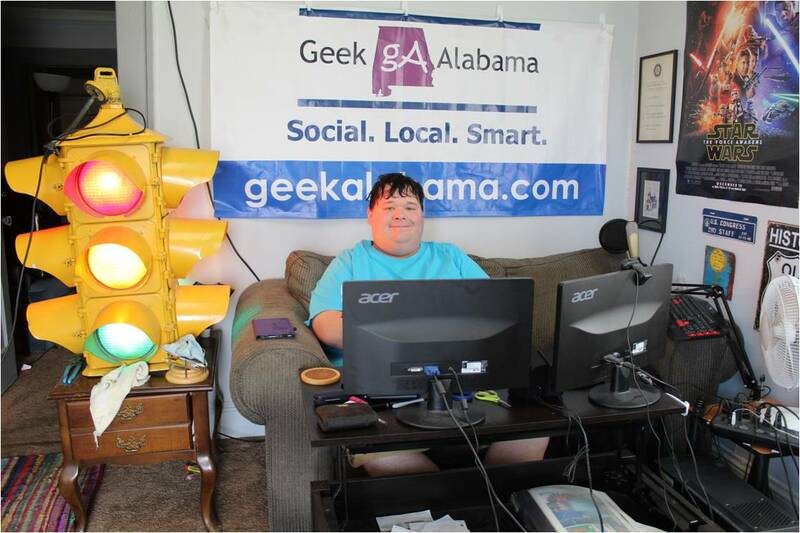 In addition to centering many of its episodes in the worlds of science and technology, The Big Bang Theory enjoys a healthy appreciation and support from the scientific community at large. And the show’s connection to UCLA extends beyond the scholarship fund: Series star Mayim Bialik earned a Ph.D. in neuroscience from UCLA, while professor of physics and astronomy David Saltzberg, Ph.D., serves as the show’s science consultant. This marks the first time that a scholarship endowment at UCLA has been created and funded by a television series. At UCLA, 52 percent of all students receive need-based scholarships, grants or other aid. That includes approximately 36 percent of undergraduates who receive Pell Grants, federal aid for students from low-income families. Almost one-third of UCLA graduates have parents who didn’t graduate from a four-year college or university. 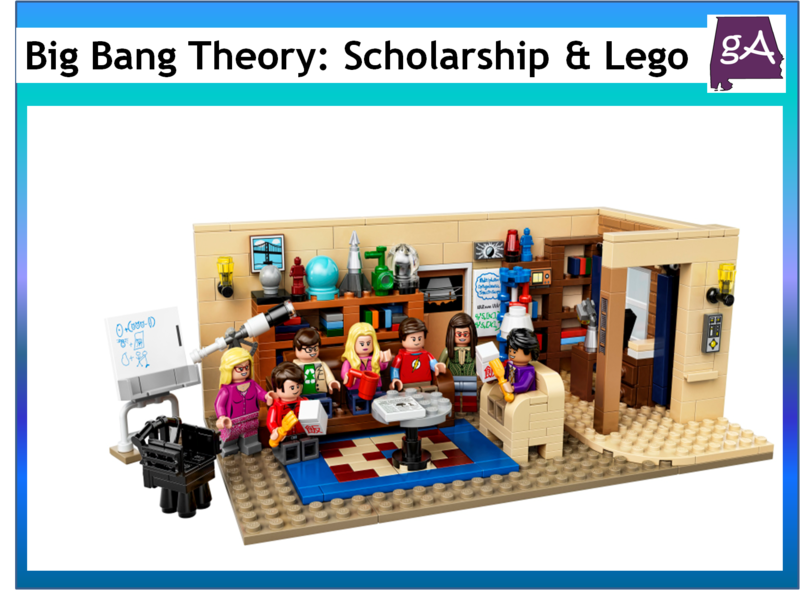 And scholarships are not the only thing from The Big Bang Theory, the stars will soon be a part of the Lego family! 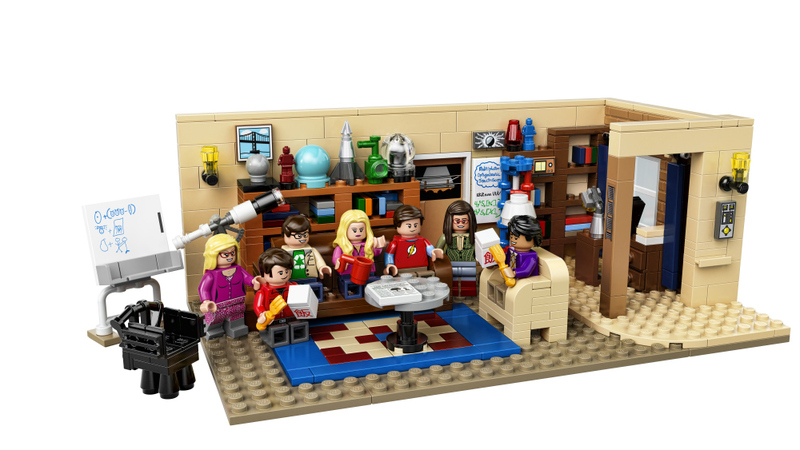 LEGO’s first set detailing the hit CBS series will be Sheldon’s plasticized living room, complete with LEGO figures of the Big Bang Theory’s cast. Professional LEGO model designer Steen Sig Andersen and graphic designer Mat Boyle worked together to create a LEGO set based on CBS popular sitcom The Big Bang Theory. The set is based on artists Glen Bricker and Alatariel Elensar‘s original design submitted to LEGO Ideas back in February 2014. The official LEGO product, which consists of 479 pieces, will become available to purchase starting on August 1, 2015. Indulge your inner genius and build this LEGO® version of Leonard and Sheldon’s living room as seen in the hit American sitcom The Big Bang Theory! This set was created by two LEGO fan designers-Alatariel from Sweden and Glen Bricker from the USA-and selected by LEGO Ideas members. Featuring loads of authentic details to satisfy all The Big Bang Theory devotees and including minifigures of all seven main characters from the show, it’s ideal for display or role-play fun. Includes 7 minifigures with assorted accessory elements: Leonard, Sheldon, Penny, Howard, Raj, Amy and Bernadette. Yep, I think my mother will want this!